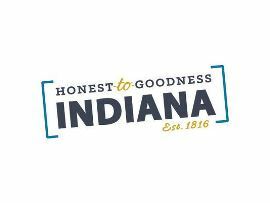 When tourism officials unveiled “Honest to Goodness Indiana” as the state’s new brand a few weeks ago, the criticism came fast and furious. But in our completely unscientific poll, you didn’t seem to mind (or maybe you just didn’t like the past efforts). Some took the opportunity to offer a new slogan. Among those: Discover Indiana, Explore Indiana, The State That Works (Governor Pence’s campaign mantra and tied to the economic development efforts). In our current poll, we’re asking about a new professional sports franchise (the Indy Eleven is reaching out to potential soccer fans around the state) and gauging your early interest. The off-field efforts are featured in our Business of Sports story in current BizVoice magazine. This entry was posted in BizVoice and tagged Honest to Goodness Indiana, Indiana tourism, Restart Your Engines, The State That Works, tourism brand, tourism slogan, Wander Indiana by Tom Schuman. Bookmark the permalink.